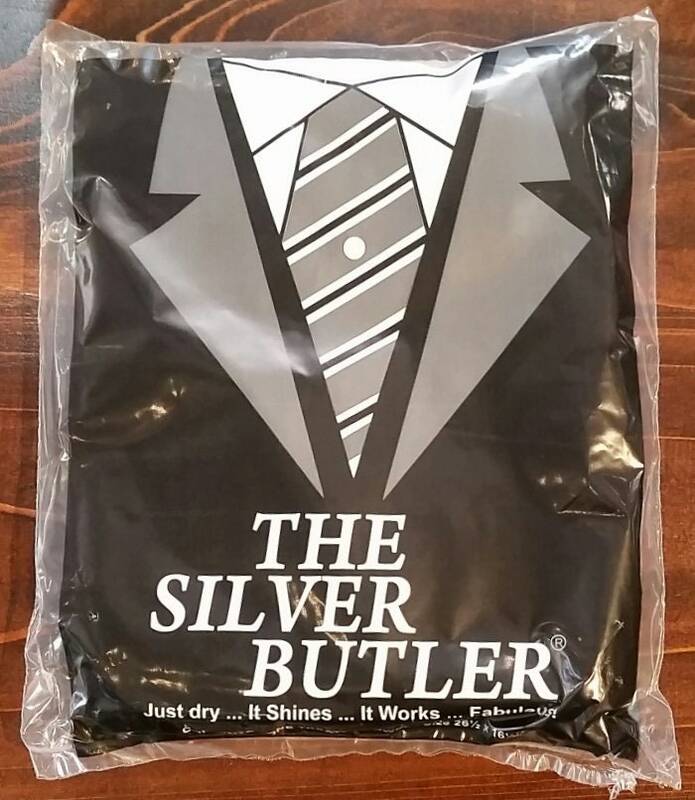 The Silver Butler cloth enhances the beauty of your silver goods. 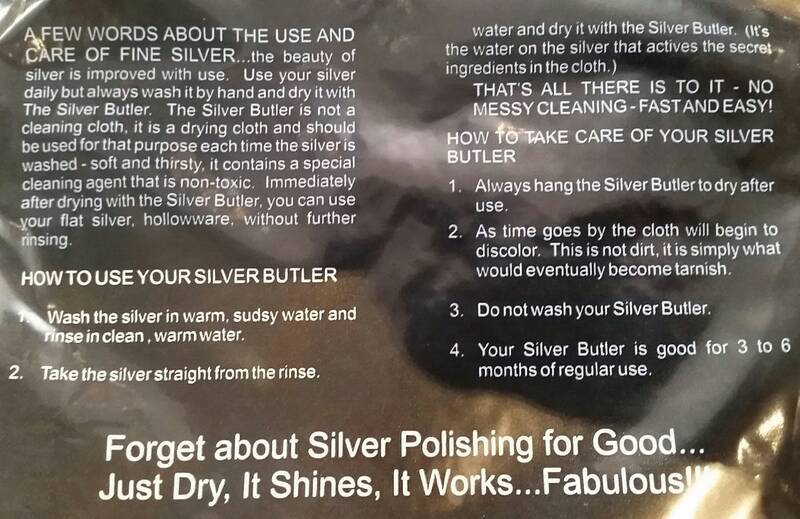 Simply wash your silver in warm, soapy water and dry with The Silver Butler. Water activates the secret ingredient in these cloths that brings a new luster to silver goods.